Joel Selwood at the 2018 Festival of Racing launch wearing Hugo Boss (John Donegan/Racing Photos). I’ve loved horses from an early age and have wanted to own a racehorse for many years, so when my footy career started taking off and I had a bit of loose change, I decided to take the plunge and buy one. 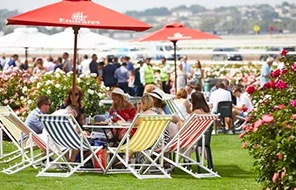 My Geelong team-mate Tom Hawkins also loves horse racing, so we got together and persuaded some of the boys and a few other people to go in with us. Our first venture wasn’t very successful – to be honest, I can’t even remember the name of the horse, which probably tells you everything you need to know! But it didn’t really matter that much to us – it’s more about the camaraderie and having a reason to get together. A few of the boys in our Ready to Run syndicate have since moved onto the next phase of their lives, but it gives us a good excuse to stay in touch. 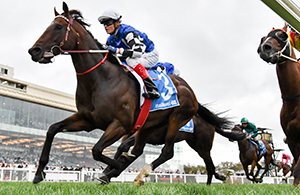 Our most successful horse has been Bellaria, a four-year-old mare trained by Darren Weir. We’ve had a few wins with her, including the day of the Festival of Racing launch where I was named as an Owner Ambassador, so her timing was perfect! I was actually in a meeting when she was running that night at Sandown so I didn’t get to watch it live, but when my phone started lighting up with messages I guessed something good had happened. As soon as I could, I watched the replay and even though it wasn’t live it still gave me a real rush to see her win. Darren didn’t sound that confident when I spoke to him at the launch that morning, mainly because she had drawn a wide barrier, but luckily I ignored him and had a small bet anyway – and I’m glad I did otherwise I would’ve been kicking myself! I’m not a big punter and the thrill of seeing our horse win is much bigger than winning a bet, but you also never want to miss out. Next time out at Flemington, Bellaria didn’t run quite as well. Maybe she wasn’t ready for the step up in class or to take on the boys, plus she picked up a bit of an infection. But she’s on the road to recovery now, and I’m sure she’ll be back on the track soon. I’ve seen her run twice live but wasn’t there for any of her four wins, so I’m really hoping I’ll be there for the next one. 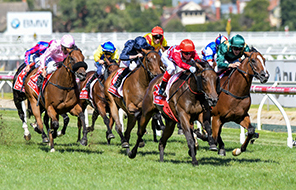 Unfortunately, she’s probably not quite good enough just yet to be running on Blue Diamond Day, but I’m looking forward to what should be a great day of racing on Saturday. I’m going with my partner Brit, who also loves a day at the races. We went to Happy Valley when we were over in Hong Kong, which was a great experience. 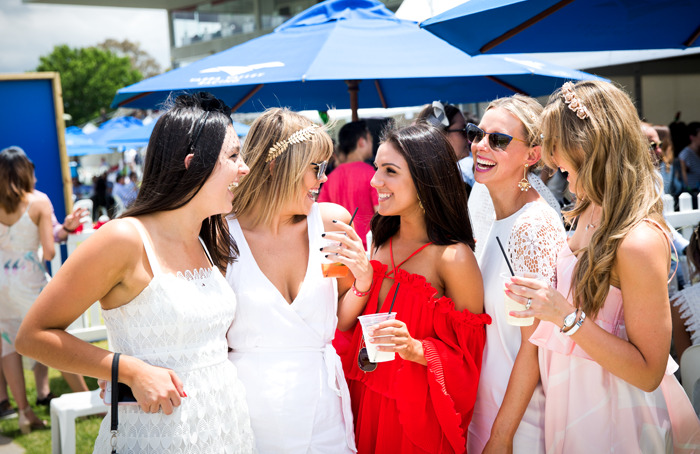 She’s probably more into the fashion than the horses but that’s the great thing for me, you don’t have to be a racing fanatic to have a good day at the races. 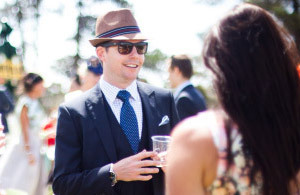 For me, it’s a great way to relax and forget about the pressures of work, so I’m looking forward to enjoying myself at Caulfield and hopefully I can back a few winners. I know Weiry’s got a runner in the Blue Diamond, so I guess I should probably back it to stay on the right side of the boss!